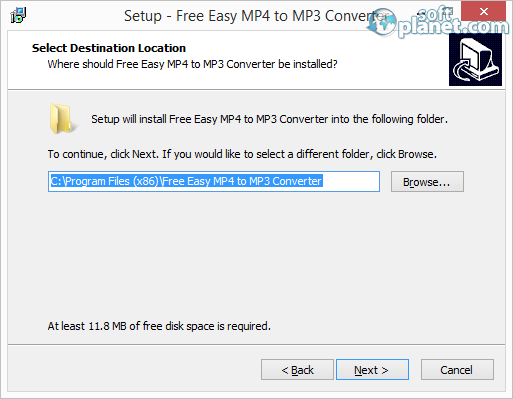 SoftPlanet makes it possible for everyone to get free Free Easy M4A to MP3 Converter download directly from our servers. There is no registration needed for downloading. Free Easy M4A to MP3 Converter takes your files and transforms them from one format to another. It is free for download and can be used unlimited number of times, for as many files as you want. It falls into the media and audio converters category and can extract the audio from the video files. The output format is the popular MP3 so anyone anywhere can play them just like that. This is very useful, when you have many video clips with your favorite songs, but you do not have their audio files in your library. Free space of 12 MB is required for the program to be installed. It is compatible with all Windows version from XP, up to Win 8. It has English version only, but for a program that small, you do not need the interface to be translated. The Help exists as a text file with simple instructions how to operate with the app, but we are sure no one needs them. As we mentioned before, that is the possibly simplest interface. Only two menus on the top and total of three big buttons. The File menu duplicates the function of the buttons. At the bottom is located the status bar, where you can see the progress of the converted files, as well as on the main window. The only two settings available are the output folder and the quality of the converted files. This is all you have to do, to get your job done. Click on the big green plus button to add your files. If, by a chance, you have selected something wrong, there is a way to remove it with the big red cross sign. Then if desired, you can change the destination folder and set the quality of the transformed files. Finally, click on the Start Converting! Button and sit down and enjoy. Free Easy M4A to MP3 Converter did all the selected songs from us. It took about 5 to 10 seconds per song. The quality of the new files is, as we expected, the same as the original video. This is very nice and hard working program and we are recommending it to anyone, who has some conversion to do. Just select all your files, click Start and get a cup of coffee, until they are ready for you. Free Easy M4A to MP3 Converter is VIRUS-FREE! 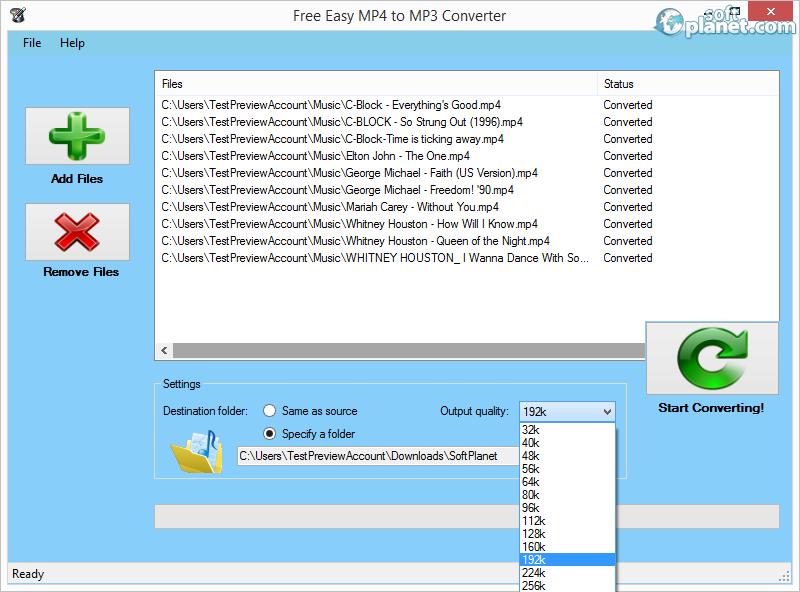 Our security scan shows that Free Easy M4A to MP3 Converter is clean from viruses. The current version of Free Easy M4A to MP3 Converter has been scanned by our system, which contains 46 different anti-virus algorithms. That ensures that Free Easy M4A to MP3 Converter 1.0 is 100% safe for your computer.